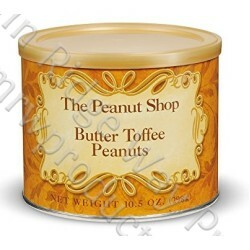 The peanut shop takes extra large Virginia Peanuts and drenches them with a buttery, crispy toffee coating, sometimes called a French roast. A customer favorite! 10.5 oz.